It used to be that things like tennis courts and bocce ball were a must have in Southwest Florida communities, but now the popular perks are pickleball and pet parks. Not only are new communities putting them into the plan, but older developments are adding them to their list of amenities. 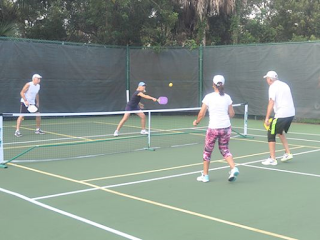 When Neal Communities put together its new Watermark community it added pickleball and a pet park and many other Neal communities are adding those amenities.